The Texas Department of Licensing and Regulation has medically suspended five “UFC 136: Edgar vs. Maynard III” contestants for various injuries sustained during this past Saturday’s event. 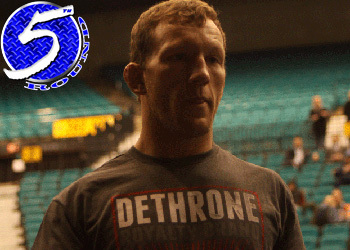 Gray Maynard (Pictured) was issued the longest ban. The former lightweight top contender will be forced to ride the pine for 60 days after suffering a TKO loss to champion Frankie Edgar. Edgar received a 45-day suspension following his dramatic come-from behind victory. The board did not specify any of the fighters’ specific injuries. Furthermore, state protocol will also prevent them from releasing the athletes’ paydays. The Toyota Center in Houston, Texas hosted this weekend’s spectacular show.